The conundrum with new releases from long-established artists – artists who have made their name at a time when music had an entirely different aesthetic and sound – is this: do I make my contemporary music sound like my old stuff, or do I bring my sound up to date? It’s a harsh decision. There have been some blunderous artistic miscalculations under the banner of both these approaches, yielding hoary forced old-timey stodge or (generally worse) embarrassing concessions to “the kids” from past masters who should know better. Joe Henry adopted the first approach with Solomon Burke’s 2002 ‘come-back’ album Don’t Give Up On Me to great effect, framing the mighty Burke in an old-school, analogue sound that just worked beautifully. 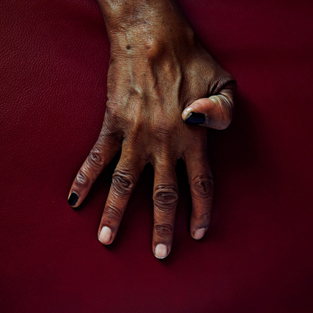 On Bobby Womack’s latest, The Bravest Man In The Universe, Damon Albarn adopts the second approach – creating a landscape of almost Radiohead-like bleeps and bubbling basslines behind Womack’s care-worn voice. And it equally works beautifully. Produced by Damon Albarn, The Bravest Man In The Universe was recorded at Albarn’s Studio 13 in West London and New York’s Manhattan Center, is Bobby Womack’s first album of original material since 1994’s Resurrection. Co-producer is Richard Russell, who co-wrote the songs with Womack. Russell recently produced Gil Scott-Heron’s excellent I’m New Here ‘come-back’ album, so his empathy and respect for the artistry of these men is a living thing. Bobby Womack wrote and originally recorded The Rolling Stones‘ first UK No. 1 hit, ‘It’s All Over Now’. He worked at Chips Moman‘s American Studios in Memphis in the 60s and played on recordings by Joe Tex and The Box Tops. He played guitar on several of Aretha Franklin‘s albums, including Lady Soul, and was inducted into the Rock and Roll Hall of Fame in 2009. Everything about him is vintage, historical and old-school. But the contemporary nature of Albarn and Russell’s tone-colours under Womack accentuate the warm and ragged humanity of his voice. The man is 68; he has had his ups-and-downs with dope and drink and damage of all sorts in his day. Sometimes here his voice is like a blue-brown brushstroke across glass; sometimes like a ragged tear, ripped into flawless metal. It could sound plain wrong: uncohesive and at-odds. But it doesn’t – Albarn and Russell get the balance just right, to the enhancement of both voice and backing: the voice sounds more human than ever and the beats sound slick, smart and funky. The guests also pull the Womack sound into the present. Lana Del Ray sings the lion’s share of ‘DayGlo Reflection’, swathed in ghostly reverb. Malian diva Fatoumata Diawara sounds afro-regal on ‘Nothing Can Save Ya’. 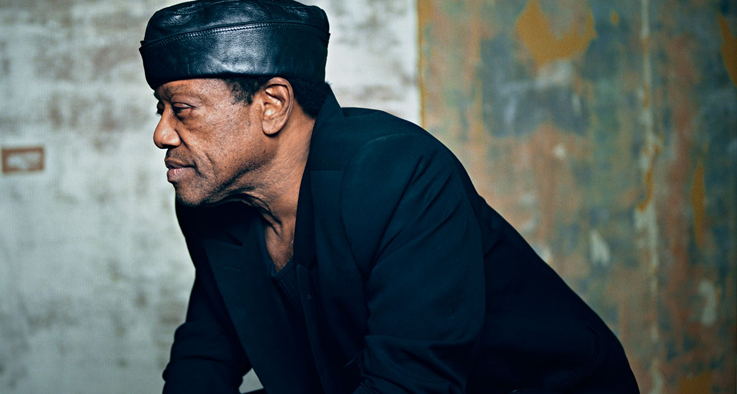 In Bobby Womack’s voice, all around its burred edge and shot through the fabric of its threadbare silk, you can hear every day he has lived – his struggles and his joys, but mainly his struggles. For contemporary producers such as Albarn and Russell to capture this with such heart – especially set against a machine-made backdrop – is really worth you taking a listen to Bobby Womack and The Bravest Man In The Universe. The 18th Biennale of Sydney, curated by Catherine de Zegher and Gerald McMaster, runs under the umbrella concept of ‘all our relations’ (lowercase intended). From June through September this year five Sydney city spaces – The Museum of Contemporary Art, The Art Gallery of New South Wales, Pier 2/3 at Walsh Bay, Cockatoo Island and, for the first time, Redfern’s Carriageworks – are hosting the works of more than 100 artists from over 40 countries. With such a glut of astonishing Art (and to pay the artists the respect of more than a cursory line or two for all their blood, sweat and tears), my review will be divided into three parts – the MCA (see here), the AGNSW and The Rest. The Art Gallery of New South Wales for years seemed to lag behind in its embracing of avant-garde Art. The arrival of Circular Quay’s piquant MCA in 1991 made much of the AGNSW’s agenda often appear fusty and conservative. The opening of its new contemporary galleries in 2011 – boasting the astonishing works gifted by the Kaldor family – positions the gallery well to host the works of this year’s 18th Biennale of Sydney. In keeping with the curators’ umbrella idea of collaboration, conversation and compassion, the AGNSW’s house theme for 18BOS is ‘in finite blue planet’ – the artists featured looking at our world and it’s finite resources from multiple viewpoints. In contrast to the radical arts’ ecological invective of the 60s and 70s – which predictably and unproductively tended to divide the issue into good guys and bad guys – this year’s Biennale works focus on our planet in macro- and microcosm. The results have, in their quiet way, more enduring and persuasive power than a phalanx of 60s eco-performance artists in full shriek. The exhibition begins on Lower Level 1 with a tiny work, George Macchi’s 2003 collage ‘Blue Planet’. A clumsily cut-out and pasted-on picture of the Earth without any landmasses, only oceans, it is devastating in its simple inferences. Macchi’s other work here, ‘Globe’ is a childish watercolour of the globe of the Earth as a blue balloon – again: simple but affecting. By contrast to Macchi’s man-made naïvety, overhead looms Indigenous artist Judy Watson’s ‘Freshwater Lens’ – a bronze inverted hump emitting sounds of the sea. It is oddly poetic – conjuring whales, rolling waves and the deeps. The macro theme – our big planet seen from the outside – continues with Subhankar Banerjee’s startling aerial shots of migrating caribou across snow or snow geese with chicks on an icy river – dots of life making trails across the huge uncaring belly of the Earth. These are mirrored by Dorothy Napangardi’s black/white dot/line paintings: Indigenous art once again beautifully invoking the intersection of land and spirit. Hovering closer to our world, the grid of a city comes into view. It is not one city but ten cities, stitched into a 20 square metre grid and all made of baby powder. Nipan Oranniswesna’s mind-blowing work ‘City of Ghost’ is so delicate that I was warned twice to not lean so close to it – my very breath would disturb the grains of baby powder held together only by gravity and humidity – a child’s sneeze could wipe out lower Manhattan. The size of a room and haloed with bare lamps, ‘City of Ghost’ staggers belief in every way – and puts a wry perspective on the illusion of permanence of our cities and, in fact , our species’ time on earth. And it also brought home to me what I am enjoying greatly about so much of the Art that is here right now. Its message is plain and simple – as any important message should be – the Earth needs saving. As an observer of Art for many years it is a stone pleasure to enjoy something original, beautiful, powerful and right-on without having to strain it through a grid of Foucaultian discourse analysis (whatever that is). Down, down we fly, now into the city. Arab artist Hassan Sharif piles rubbish and junk-ephemera into categorised piles with prosaic names such as “Jute, Cloth and Rope” and “Aluminium and Paper” to show the insidious influence of plastic consumerism on his life in the United Arab Emirates. Gao Rong recreates an impoverished Chinese dwelling in “112, Unit 6, Building 5, Hua Jiaai Bei Li”. I walked through this room-sized room installation twice before I realised that every part of it – the rusty flue pipe and brazier, the aluminium and iron kitchen utensils, the clock face and family photos on the wall – was embroidered onto cloth. Every fleck of rust, every paint flake on the worn sideboard, even the green paint of the sideboard itself, all made from, and embroidered onto, cloth. Obsessively perfect in every detail it pushes the reality of the room’s inhabitants simultaneously backwards and forwards in one’s mind, forcing one to examine every tawdry and worn detail of their home. And then finally into the smallest space on earth – the space taken up by a single human. Binh Danh’s chlorophyll printed jungle leaves showing wartime scenes from his home of Vietnam quietly disturb. Ricardo Lanzarini’s obsessive art scrawls across the pages of his “universe” made up of hundreds of tiny cigarette-paper booklets. At first, it is the audacity (not a bad post-modern tool) of “Do You Remember When?” that grabs me. The artists of Postcommodity have sawn a sizeable square hole straight through the floor of the gallery – the extracted slab, upended, sits sombrely on a plinth a few feet away. Peering into the hole, we see the red earth beneath the Gallery exposed, and hear deep and timeless Aboriginal music rising, as if from the Earth itself. A single microphone dangles into the pit, as if listening. I was alone in the room and I felt the full force of “Do You Remember When?” and I remembered something many a millennia ago. Which sums up the AGNSW’s take on the Biennale for me: though not as spectacular and hard-hitting as the MCA’s ‘Possible Composition’, it’s ‘in finite blue planet’ got into me deeper and will sit with me longer, I am sure. Beautiful and powerful, it poses the ecological question that still needs an answer from many new and mind-stirring angles. The German avant-rock pioneers Can’s Inner Space studio in Weilerswist, Germany was sold to the German Rock N Pop Museum recently. The Museum bought everything, including the army mattresses that covered the walls to dampen sound. Whilst dismantling the studio in order to transfer it to Gronau, the home of the Museum, over 30 hours of master tapes were found with barely legible labeling. Intrigued, Can main-man Irmin Schmidt and collaborator (and Schmidt’s son-in-law) Jono Podmore dug into it all, discovering years of valid archived material. These are not outtakes, they are tracks that had been created for soundtracks to movies that never eventuated, tracks that never made it to albums due to space constrictions and tracks that were part of Can’s ongoing sonic experimentation. This last point is illuminating. Can often worked in an open-ended way – keeping the tapes rolling while they jammed, experimented, tried ideas and followed their tripped-out muse wherever She may lead them. Very much in the spirit of those heady times – late 60s to early 70s – Can seemed to be often more about the journey than the destination. 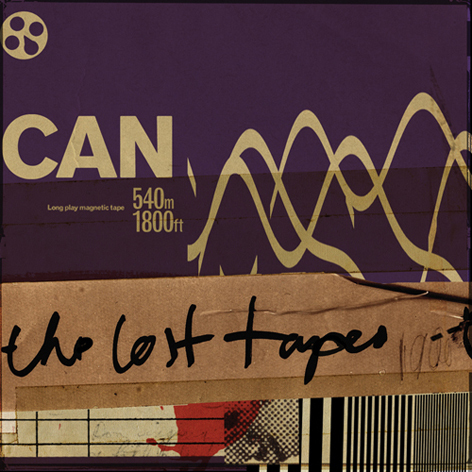 In his notes to the recent released Can/The Lost Tapes, Irmin Schmidt says that these tracks were “more about the atmosphere of creating” than “aiming for the masterpiece”. What we hear on their 12 superlative studio albums (pretty much all masterpieces, especially Tago Mago – see my review here) is the tip/s of the Can iceberg. The music that sprawls across the three CDs of The Lost Tapes is the iceberg. Irmin Schmidt further explains “Obviously the tapes weren’t really lost, but were left in the cupboards of the studio archives for so long everybody just forgot about them. Everybody except Hildegard, who watches over Can and its work like the dragon over the gold of the Nibelungen and doesn’t allow forgetting.” I don’t know what he is talking about either, but with Can it is always best to just go with their spacey flow and to hell with logic. And what a spacey flow it is. “Millionenspiel” (“The Game of Millions”) – recorded when the band was still called Inner Space – opens with a surreal musical shadowplay before drummer Jaki Liebzeit sets up a tense Motorik rhythm and the band is off, shards of glassy organ stabbing through the groove. “Deadly Doris” nags over an equally insistent mechanized beat, with early singer Malcolm Mooney improvising autistic vocals over the top. (In a piece of serendipity, Can were more than lucky to find, after Mooney left Can on the advice of his psychiatrist [! ], the equally free-minded and liberally creative Damo Suzuki). Repetition, mechanization, noise – these are the elements that Can brought to rock’n’roll from 20th century modern classical or Art music (and a surprising amount of the music we listen to today owe these Teutonic Space Knights a tacet debt for that). The Lost Tapes sees an already wildly liberated band operating largely on their own terms – free in the main from the constrictions of putting out ‘product’ or meeting a deadline – and able to just create as they wished. What is remarkable about these tracks, considering the freewheeling nature of the times and the Anarcho-Hippie culture that Can swam in (Germany, perhaps for historical reasons had a particularly unbridled and highly politicized Hippie culture) is their discipline. Very few appear to be whacked-out jams, despite their flavour being that of improvisation – the band breathing, rising and falling over the entire length of extended tracks such as the 17 minute ‘Graublau’. Like Tago Mago’s wonderfully snaky “Halleluhwah” or noise collage “Peking O” the extended pieces have their own logic, however oddly unfolding it may be. A treat – as if an Aladdin’s Cave such as The Lost Tapes is not enough in itself – is the inclusion of recordings of three live tracks – “Spoon”, “Mushroom” and “One More Saturday Night”. Apart from the applause and slightly muddier sound, these fit in beautifully with the studio tracks, as they are cut from the same psychedelic cloth – that magic Can mix of discipline, free improv, leaping in the deep end and that uncanny telepathic bond that all great Rock groups have. Check out more (and take a listen to some Lost Tapes tracks) on the Mute Records website here. The 18th Biennale of Sydney, curated by Catherine de Zegher and Gerald McMaster, runs under the umbrella concept of ‘all our relations’ (lowercase intended). From June through September this year five Sydney city spaces – The Museum of Contemporary Art, The Art Gallery of New South Wales, Pier 2/3 at Walsh Bay, Cockatoo Island and, for the first time, Redfern’s Carriageworks – are hosting the works of more than 100 artists from over 40 countries. With such a glut of astonishing Art (and to pay the artists the respect of more than a cursory line or two for all their blood, sweat and tears), my review will be divided into three parts – the MCA, the AGNSW and The Rest. I started my look at The 18th Biennale of Sydney at Circular Quay’s Museum of Contemporary Art because to me, this venue is the one that has held the radical spirit of the Biennale from the start. The AGNSW has recently played modernist catch-up (in a pretty earth-shaking way) but the MCA, like the Biennale, has always hosted works that make you prick up your ears, open your eyes and peel back your mind. The BOS18 works take up the entire first and third floors of the MCA under the subtitle ‘Possible Composition’ – a concept as catch-all and vague as ‘all our relations’, which allows a wide wide net to be cast conceptually. Adding to the ‘all our relations’ idea of collaboration, conversation and compassion, ‘Possible Composition’ features a number of artists who pull together odds and ends and flotsam and jetsam to create Art so beautiful it makes you reel. Thailand’s Pinaree Sanpitak hangs a ceiling with gray origami boxes and blown-glass, fibre-optic-lit breasts. As you walk around under its impending gravity, your passage sets off sensors which play sounds and drifting music over your head. It is called ‘Anything Can Break’ and it is a dream. From now on, you are in another world, or parallel worlds divided by the gallery walls. The large middle room on Level 1 is dominated by Lee Mingwei’s ‘The Mending Project’. The US/Taiwanese artist takes in your torn clothes, toys etc and mends them with a few stitches. The stitches are made with thread from any one of the hundreds of thread-spools that fill two huge walls and remain attached (you leave your clothes with him till the exhibition ends – trust is another theme). As the exhibition is still young there were not a lot of threads – I very much look forward to checking in around September when the artist’s space will be filled with a rainbow-skein of threads – a very literal and warm representation of connection and interconnection. In their BOS18 catalogue essay curators de Zegher and McMaster talk of the movement in the radical arts away from themes and strategies of disruption, separation with its oppositional, negative stance towards collaboration, connection and inclusion. No one could express this new ‘niceness in Art’ more at the MCA than Lee Mingwei and his Mending Project – sure, the artwork itself is a lovely, poetic and direct expression, but his own personality – and the simple act of sitting in a gallery, talking to members of the public as he humbly stitches their torn teddy bears and shirts (in effect, climbing down from the stage of Celebrity) – is hugely connecting. As I am sure, Mr Mingwei is fully aware. Up on the third floor I am struck by Ghanan El Anatsui’s royally coloured red and gold crumpled blankets adorning the walls. Drawn closer their texture I see that they are woven entirely from bottle cap rims, cut off the cap, flattened and stitched into a hard sheet with wire. With its themes of alcoholism and African colonialism these works (‘Afor’ and ‘Anonymous Creature’) are a knockout – beautiful African blankets made from an alien poison. The cap-C Craft virtuosity is carried right through Level 3. Kamin Lertchaipresert has crafted 365 wryly comic Buddhas out of masticated Thai banknote (yes, money!) papier-machê which sit in a glass case running the length of the floor – have a close look at them all, many are drolly hilarious. Liu Zhuoquan fills a room with hundreds of black vessels (from little pill bottles to massive glass oil-jars), all dark green with a hint of snake scales roiling inside each one. Looking closer into his technique I find that they have all been ‘inside-painted’ with a snake-skin texture – an artisan technique that leaves the impression of snakes in black-green oil filling all these bottles. It is truly breath-taking. But the Level 3 virtuosity is not all of the loud, eye-poking variety. Liang Quan’s tea-stained paper collages and the moon-vases and porcelain works of Koreans Yeesookyung and Park Young-Sook are works of satori – moving into me like a Zen gesture, affecting the mind long after their cool stasis has faded from the retina. We leave Level 3, the MCA and this part of The 2012 Biennale through a dimly lit hall which houses Australian Judith Wright’s ‘A Journey’. Of all the staggering works I have taken in today, this one strikes me the hardest but oddly leaves me the coldest. A de Chirico-esque nightmare parade of amputated mannequins, eyeless dolls and man-animal composite torsos, they move forward in broken baby carriages, metal bathtubs, children’s coffins and boxes. At the front, a wooden child leads in a wheelchair, but looks back at her motley train of walking wounded. Knowing that Wright began this work out of her sorrow at losing a baby soon after birth cannot help but affect one. I was equally affected by the deliciously creepy Freud-fest of her stitched-together beings. But putting aside my (far from subjective) worship of all things Surreal, I felt – especially against the clear and sharp originality of all else I had seen here – Wright’s ‘A Journey’ was vaguely derivative and strained for effect unnecessarily. But make your own mind up. Every two years we are blessed with this Art manna from every corner of our wonderful world – a free feast for your senses. I am impatient to see what else BOS18 holds.